What makes a data center “intelligent”? What trends are driving data center transformation? 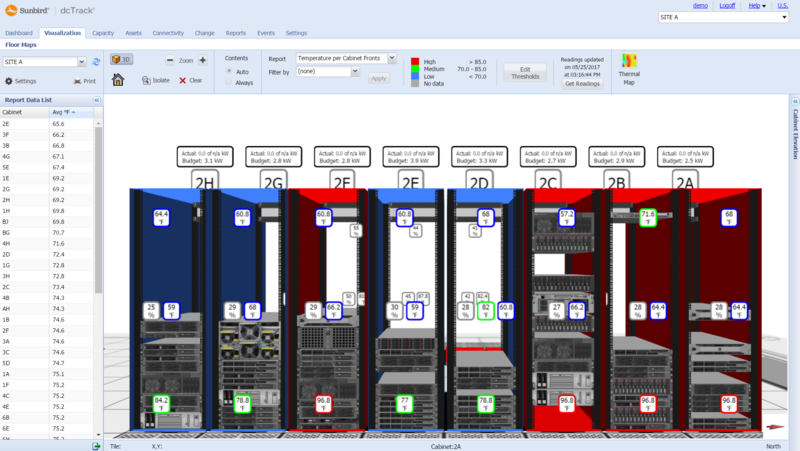 And where does Data Center Infrastructure Management (DCIM) software fit in? Sunbird's own James Cerwinski, Director of Product Management and Marketing, was recently interviewed by Betty Yu for NetAdmin, a Taiwanese publication aimed at IT professionals, on these topics and more. The enterprise data center usually involves two different department organizations, where the facility staff is concerned with electricity, while the IT staff is concerned with computing and application services. They need a common language to communicate, and DCIM can provide meaningful information for both parties to solve the challenges of today. Sunbird has officially become a software company specialized on DCIM since 2015, when Sunbird has been spun off from Raritan as a new company. The enterprise goal is to help companies manage tasks and processes more effectively, while saving costs and increasing availability. Sunbird product management director James Cerwinski pointed out that today's enterprises face more competitive pressures, optimizing the data center has become an urgent subject. However, to make the data center more intelligent, there are three elements. The first one is the environmental sensors must be deployed in data center, secondly, facilities and IT team must be cooperated to strengthen the operational process, and the last element is to use DCIM software to manage data center comprehensively. He explained that the purpose of deploying environmental sensors in the data center is to collect information such as electricity, temperature, humidity, airflow and pressure, and later DCIM software can facilitate future analysis based on that to come up with the trends, reporting and optimization of the data center. With this information, the facility and the IT team can use it to reinforce the operational process. "Generally speaking, the enterprise data center usually involves two different departmental organizations, where the facility staff is concerned with electricity, while IT staff is concerned with operations and application services. They need a common language for communication, and DCIM is able to provide meaningful information to both sides to address the operation and maintenance challenges. " More devices, higher density servers and electricity have facilitated the innovation for the infrastructure as well as the change for the data center. Artificial intelligence and the Internet of Things are good examples of how companies collect data from a variety of devices, but also create tremendous pressure on the data center. When the resource usage of the enterprise data center continues to increase, the data center must have more capacity to afford this growth, and DCIM software let facilities and IT staff can get all the information at a glance through the monitoring and management mechanism to master the new technology. In recent years, Sunbird has also continued engaging in research and development to improve DCIM functions, including capacity, change, assets, power, environmental and energy management. Among them, Power IQ mainly focuses on power, environmental and energy management level, while dcTrack mainly focuses on change, capacity and asset management. dcTrack can aggregate and analyze all the relevant information, clearly know how much space left in the cabinet, and whether there is enough power to be used or not. Assuming the company purchases a new blade server due to expansion, all it needs to do is to input the specification data; dcTrack can analyze and advise which cabinet is suitable for installation. In the visualization section, Sunbird also provides 3D visualization and thermal maps to display power management and environmental monitoring messages in a more visual graphical interface, and gives managers insight at a glance. Cerwinski emphasizes that the thermal map is different from a CFD thermal simulation. CFD simulates the predicting state of the heat flow field. The thermal map is a heat map which is generated by the actual the sensors’ reading and location, and the business can also use it to verify the reliability of the thermal simulation. Even if introducing free cooling, the system can be still used to monitor the temperature of the entire data center. Editor’s Note: Article originally published in NetAdmin on September 12, 2017. Used and translated with permission.